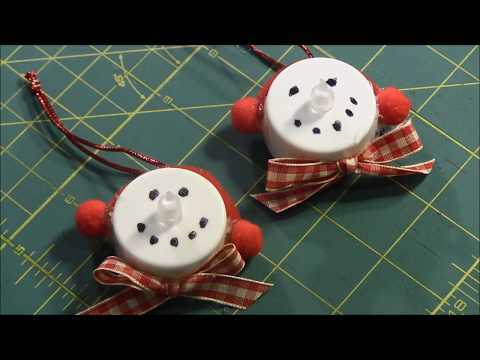 Light up the Christmas tree with ADORABLE snowman tea light ornaments. 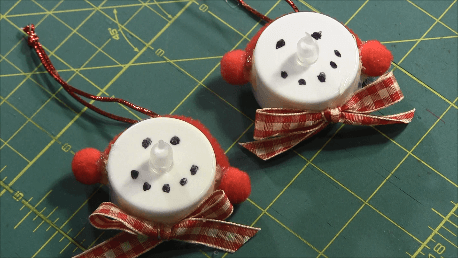 Turn battery-operated dollar store tea lights into snowman ornaments. These snowman are really quick and easy to make. 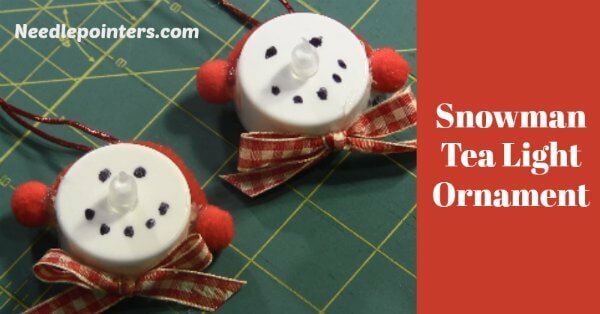 Click to watch the Snowman Tea Light Ornament video in Youtube. Step 1: Make a small bow with the ribbon. Step 2: Cut a 2 ½” piece from a pipe cleaner. Step 3: Cut a piece of cording long enough for hanging. Tie the two ends of the cord together in a knot. Step 4: With the black marker, draw the two dots for eyes and several small black dots for the snowman's mouth on the tea light. Step 5: Place pipe cleaner around top of tea candle and place a small mark at the end of the pipe cleaner on each side. Step 6: Slip the hanging cord onto the pipe cleaner. STEP 7: Put a dap of hot glue on the marks on the side of the tea light and attach pipe cleaner. STEP 8: Hot glue one small pompom on each end of the pipe cleaner. STEP 9: Hot glue the ribbon bow to the bottom. Turn the light on and hang the ornament on your tree. This quick project is perfect for craft shows or as a little gift for someone. Enjoy your hobby without spending a fortune on expensive craft supplies! We carry an amazing selection of art supplies and crafting essentials for less. View our painting sets, kids craft activities and poster sets, art paper, and more. Everything is only $1 each, so you can get creative without worrying about high prices.